A few months ago, we wrote about the part-time vegetarianism movement. Part-time vegetarianism, or flexitarianism, is a quickly-growing movement in the United States. Flexitarians try to avoid read meat, but it’s not a steadfast rule. The idea is to reduce—but not eliminate—meat consumption. 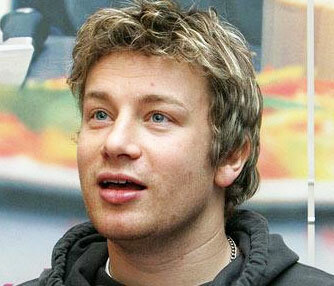 At the risk of sounding like a tabloid, Jamie Oliver (the media celebrity chef) was recently quoted on how he is a part-time vegetarian. The sound bite came during an interview about his most recent book, Jamie’s 30 Minute Meals. I’m probably vegetarian a couple of days a week, not on purpose but really just because I love eating vegetables and salad. I admire vegetarians, but I’m too much of a meat lover to ever become full-time vegetarian. This isn’t necessarily big news, but Oliver is a fellow real food advocate and his personal food lifestyle is influential.